POINT LEPREAU (GNB) – The New Brunswick Energy Solutions Corporation today announced the participation of Advanced Reactor Concepts (ARC) in the nuclear research cluster that will work on research and development on small modular reactor technology. ARC will commit $5 million to operations and research in New Brunswick and establish an office in Saint John. ARC is developing a metallic fuel, sodium cooled, fast reactor. ARC’s goal is to license, construct, and commission their first operational, grid-connected reactor in Canada and by leveraging the existing infrastructure and expertise at Point Lepreau, New Brunswick’s presence is strengthened in this next generation of nuclear technologies. The company is currently working towards development of a safe, 100-megawatt small modular reactor. The company uses proprietary PRISM technology from GE Hitachi Nuclear Energy and works with support from that company’s engineering and design teams. ARC and GE Hitachi Nuclear Energy have a development agreement. Energy and Resource Development Minister Rick Doucet welcomed the participation of ARC. 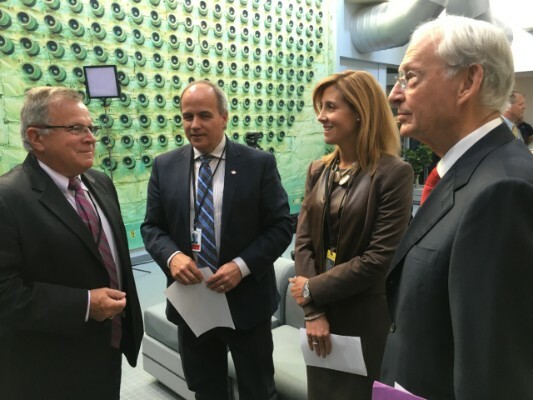 The provincial government recently announced a commitment of $10 million towards the nuclear research cluster. Small Nuclear Modular Reactors are the next generation of nuclear technology that can be scaled for designs with an output of between five and 300 megawatts. These reactors are intended to provide clean, cost-efficient and adaptable energy for various business and industry needs. These reactors may be able to use spent fuel from existing Candu reactors.